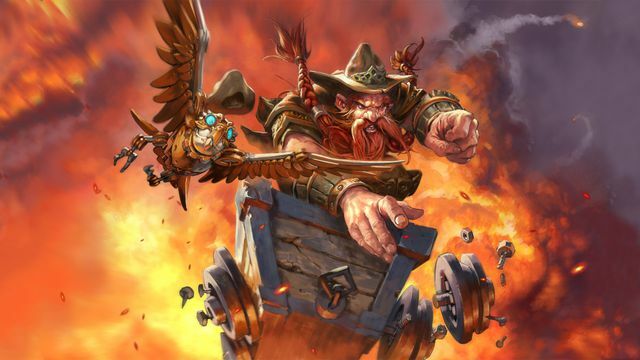 Just over a year ago, Blizzard announced that its digital card game Hearthstone had reached a massive audience of 50 million total players around the world. We haven’t heard an update on numbers since then, which left some wondering if the player base was still growing. As it turns out, yes, it very much is. Today Blizzard announced that the Hearthstone community has ballooned another 20 million since last year, totaling over 70 million players. The publisher also noted that when the Journey to Un’Goro expansion launched in early April, the game experienced more players logged in on the same day than at any previous point in its history. That explains the server problems! Blizzard isn’t just bragging, though. To celebrate hitting 70 million players, the company is giving away a free card packs for the new expansion. Everyone who logs in to Hearthstone starting today will receive three free Journey to Un’Goro card packs. This giveaway will continue until the end of May, and it even includes completely new accounts. Enjoy the free cards, and if you need some tips on where to start in Journey to Un’Goro, take a look at our video here. We check out five decks in the new expansion alongside Hearthstone senior designer Peter Whalen. We’ve got a whole YouTube playlist of other Hearthstone videos to watch as well.